PS3113 series Retail Barcode scanner design to use for checkout stand to leave shopper good impression. 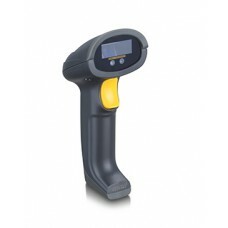 PS3113 handheld imager deliver class scanning performance with 2D and1D barcode scanner. Cashier required for Point of sales or POS system checking rugged and fast scanning, PS3113 design accordingly and boost service to your customer. PEGASUS PSW-1100Pegasus PSW-1100 1D Barcode Scanne..
Honeywell 3820 - SCANNER ONLY,.. Features Bluetooth wireless communications for fre..
Zebra DS2208, 2D Imager Barcod.. Affordability and Simplicity Delivered2D barcodes ..